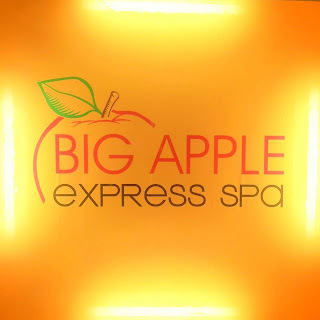 Last Saturday, me and my significant other went to Big Apple Express Spa. I bought a couple's voucher worth Php500 ($11.46) from CashCashPinoy, an online bargain site. The voucher consist of Balinese massage for men and Manhattan for women with free foot soak. We visited the branch at Tower 1 Cityland 10 in Makati, Philippines. It was my first time going to a spa but I do have an idea about it. Once we entered the vicinity, it has this relaxing atmosphere. I wore jeans at that time but they required the visitors to wear shorts. Fortunately, the spa provided us a clean shorts for customers wearing jeans. First, they treated our feet, I upgraded the foot soak to foot scrub by adding Php100 ($2.29). Afterwards, we went to a room for couple and the massage begun. The Balinese massage took 60 minutes while the Manhattan took 45 minutes. After the massage was over, we were asked by the masseur if we need tea or water. The staff and personnel are friendly and professional. We both enjoyed the massage and the treatment Big Apple Express Spa gave us. We will definitely come back to their branch. To know more about them you may go to their Facebook page by clicking the above picture. LOL your graphics sooo funny! Spa huh!